I had planned on painting this, but ran out of time. 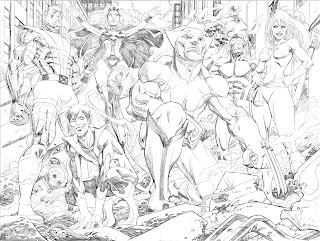 This week is spoken for work wise, so I'm just going to post the pencils. If I have more time I'll try to ink this piece. I have something else planned for week two of our "What if Comic Twart ran Marvel?" theme. So stay tuned. PS - After I started this I realized that I forgot Beast! So, here's a small piece I did for a fan a few weeks back. CRAZY! I love that Storm! wow dude, that is crazy busy. I love your colossus. He looks like one of those old communist statues. Can't wait to see this colored! A super heroes obsessed friend gave me the nickname of "Rogue" so I have a soft spot for the X-Men. Love the amount of detail in the entire piece. Sweet! Erik - I'm gonna try! Josh - Thanks! Yeah, I wanted that feel. Glad you picked up on it. Lori - Damn! I shoulda' put her in it too! Thanks - BTW. You folks are all too nice! Wowza, Mike! I especially like your Colossus and Nightcrawler. 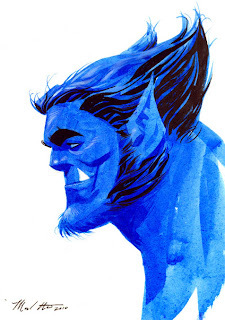 Loved your style for awhile and you awesome ability to draw lithe characters makes for an awesome Cyclops. Well done, sir. Geez Mike... this is amazing. I'm always blown away by your clean lines and eye for detail. Love the composition, and that Storm...! Wow. Seriously, send a link to somebody at Marvel. They need to see this. That's pretty spiffing stuff man. 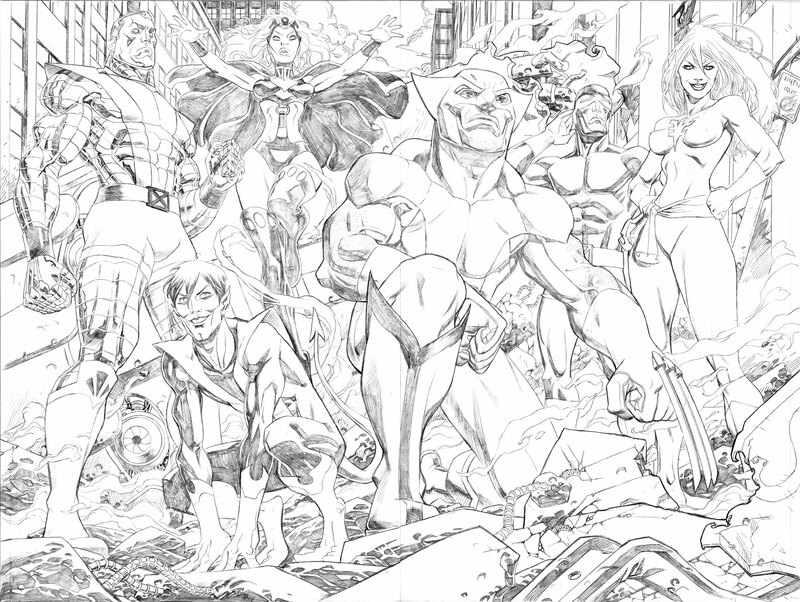 Would love to see it inked if you get a chance. Doc - thanks man! they were the most work. Had to do Nightcrawlers face a few times before I got it right. Declan - Thanks. I'm gonna try and ink it...figners crossed. Like Francesco and Tom, I would love to ink this! Gorgeous work Mike, I would love to see you on X-Men! Ka-Pow!!! This is all kinds of awesome! Thanks fellas! I appreciate the love. as i mentioned (what seems like ages ago) on twitter, i. love. this. and if you don't ink it, i just might! It's nice to see Phoenix back and Wolverine's claw length is perfect. Awesome drawing Mike! That afterthought painting of the beast looks amazing. It looks like a print with all of the layers of color. I'm flabbergasted by your sense of control. Coolguy - thanks man! Had to go way be with the team I'd like to draw. Anyway, glad you guys dig the art so much.